Ujung Temple has a fascinating history, including almost complete devastation from a volcanic eruption and, later, an earthquake. However, the restorations have brought the palace back to its original beauty. 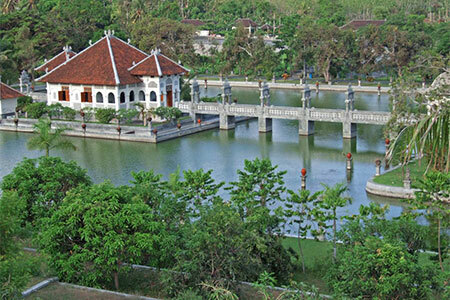 The architecture is a blend of traditional Balinese and European styles, and there are pathways and bridges connecting ponds, making this a wonderful place for a tranquil walk and an amazing spot for photographers.